The Russian Rockot light launcher lifted off on schedule this Friday 22 November from the Plesetsk Cosmodrome carrying the three ESA scientific satellites dedicated to studying Earth’s magnetic field. Launcher lifted off on 13h02 (Paris) from the Plesetsk cosmodrome, in Russia. Credits: ESA. The Russian Rockot light launcher completed a successful flight this Friday 22 November from the Plesetsk Cosmodrome 800 km north of Moscow. The launcher’s engines fired and lifted it off the pad right on schedule at 13:02 CET. 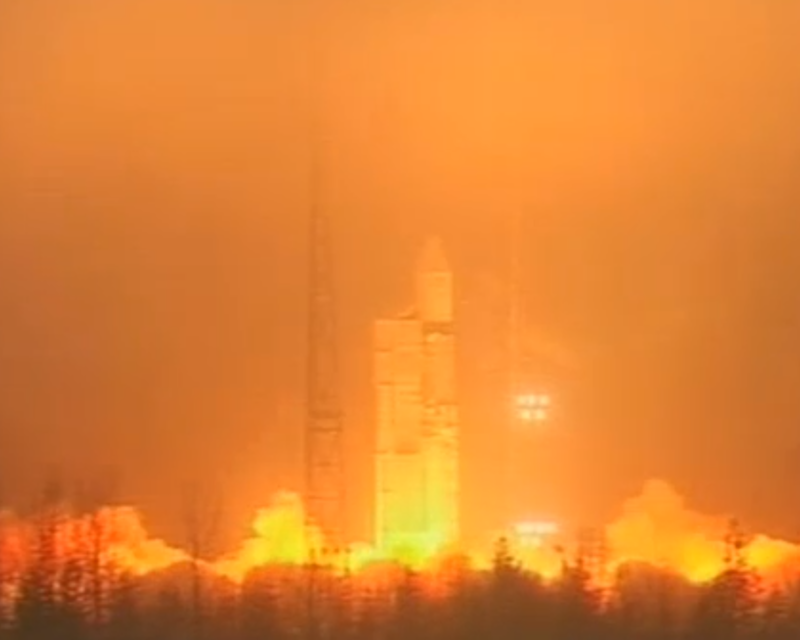 The 3 ESA Swarm satellites under its fairing were released into space 1 hr. and 30 minutes after launch. The 3 satellites were injected into a near-polar transfer orbit at an altitude of 490 km. They will now take 4 months to reach their final orbits, with satellites A and B operating side by side at an altitude of 460 km and satellite C at 530 km. The 3 Swarm satellites will record datas on Earth's magnetic field from low earth orbit (460-530 km high). Credits: ESA/CARRIL Pierre, 2013. 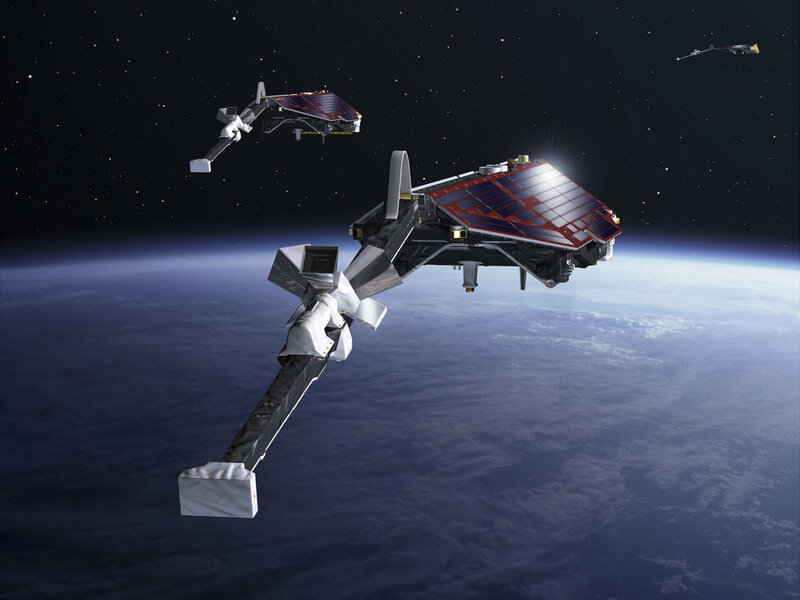 The Swarm satellites’ vital systems will be powered up, configured and checked out by ESA during their first 3 days in orbit. Their characteristic booms will be deployed in the first 13 hours of the flight. These booms carry the Absolute Scalar Magnetometers (ASM) supplied by CNES, which will be switched on 4 days after launch. The first data on Earth’s magnetic field recorded by the Swarm instruments will therefore be sent back in the first week of the mission. Once fully calibrated and validated by experts, they are expected to be delivered to the scientific community within 6 months.